For joint, soft-tissue and musculoskeletal issues, orthopedic care can treat symptoms like pain, swelling or decreased strength or range of motion. Whether you’re recovering from an injury or looking to improve performance, we create sport-specific schedules that get you back on the field and playing your best. 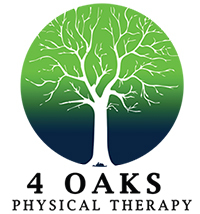 4 Oaks Physical Therapy provides a full spectrum of physical therapy services for patients in the Baltimore-Washington area at our Pasadena, Catonsville and Columbia locations. We believe the best results are achieved when our patients stay motivated and inspired by the improvements they feel. We strive to make therapy sessions an enjoyable experience, with a warm, friendly atmosphere in our state-of-the-art facilities. Our expert therapists will develop a plan to help you achieve your goals and get back to your normal routine.